These last couple of days I went shopping and bought these goodies. I loved this black and white sweater from Bershka and since my friend's birthday party is in a couple of weeks I bought speacially for that ocasion. The last two tops I bought them at Primark just to reavive that Summer spirit. 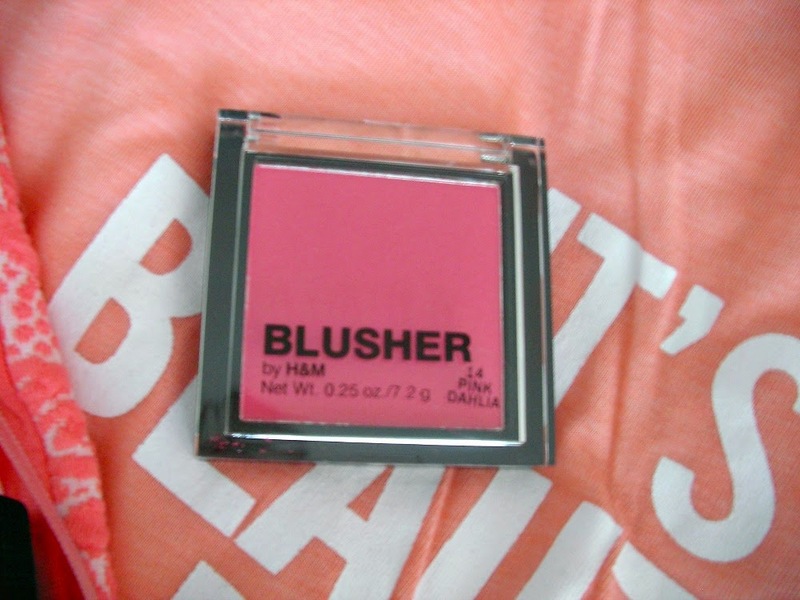 Finally, this blush is from H&M and I was curious about trying a pink blush, I've only tried the bronze color. Estes últimos dias fui ao shopping e aproveitei para comprar estas coisinhas. Adorei esta sweater da Bershka e, como o aniversário do meu colega é da aqui a algumas semanas, comprei-a especialmente para essa ocasião. Os tops rosa são da Primark e comprei para reavivar o espírito do Verão. Finalmente, o blush é da H&M e eu estava curiosa sobre experimentar um blush rosa, visto que só usei a cor bronze.